Dolphins are among the most loved marine animals. They are very intelligent and playful animals, which often interact with people on the boats. Dolphins are the mammals; they give birth to baby dolphins called ‘calves’. The calves of the dolphins survive on the milk of their mother until they grow younger. Dolphins also play sports and perform in many shows around the world. The kind of dolphin that people commonly know is called bottlenose dolphin. But, there are many kinds of dolphins. 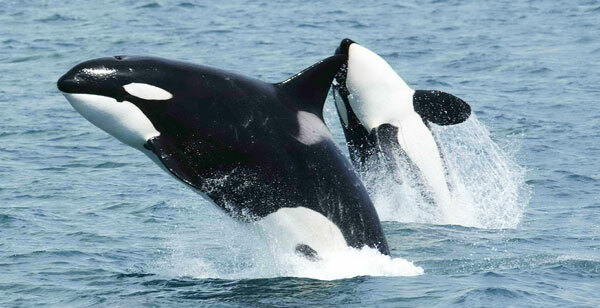 The killer whales (Orca) are also the kind of dolphins, which are also famous. But, most people don’t know that they are dolphins. How Do Dolphins Look Like? Dolphins have long bodies with flippers, dorsal fins, and a tail fin. Their head in non-flexible with two eyes and a long snout. Dolphins have good eyesight, but they also use echolocation to see in the cloudy water and search for prey. Echolocation works like a sonar in which sound waves are produced that bounce back from the objects and give their positions. Dolphins have a blowhole on top of their head like whales. They use it to breathe oxygen from the air because they can’t breathe underwater. Dolphins have size range about 1.7 (5.6 feet) meters to 9.5 (31 feet) meters. They can weigh as much as 110 pounds (50 Kg) for smaller size and 10 tons for a large one. Dolphins are carnivores and good predators. They can use echolocation to find the prey in cloudy waters. They usually eat squids, small and medium size fishes, and shrimps. Dolphins generally drive their prey near the beach to eat it. But, some species also use their tail to knock down the prey. Dolphins are found in all oceans of the world. Some species of dolphins also live in the rivers; they are called river dolphins. 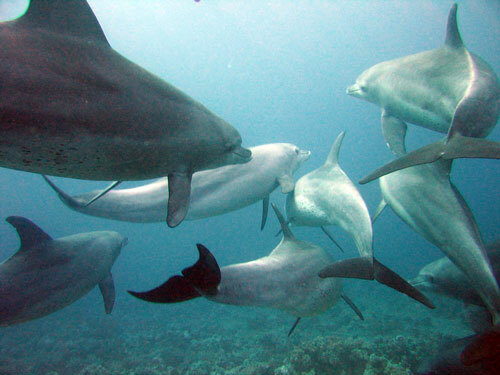 Dolphins are one of the social animals, they travel in groups. The group of the dolphins is called a pod. A pod of dolphins usually contains 5 or more dolphins. Sometimes smaller pods combine together to make a large pod in which more than a hundred dolphins travel. Due to over-hunting, many species of the dolphins have become extinct. Many of the alive species have been declared as endangered species. International organizations working to conserve the dolphins have placed a ban on hunting of dolphins. Fishermen are warned to use nets in which dolphins are not caught. It is believed that dolphins and whales have been evolved from a land animal, which looks like a wolf. 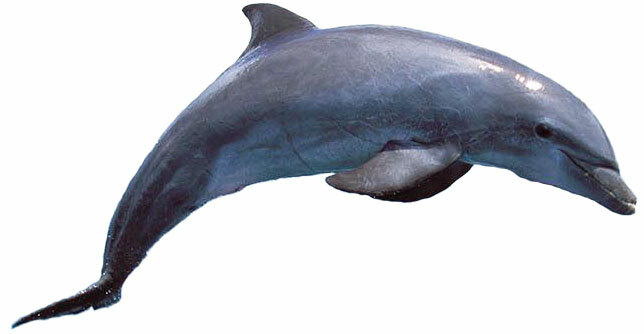 Yangtze river dolphins are considered extinct. Dolphins can drown if they remain underwater for too long. Because they can’t breathe oxygen underwater. Killer whales are the largest dolphins, they have white and black color on their bodies. Abdul Wahab, "Dolphin," in Science4Fun, April 13, 2019, http://science4fun.info/dolphin/.